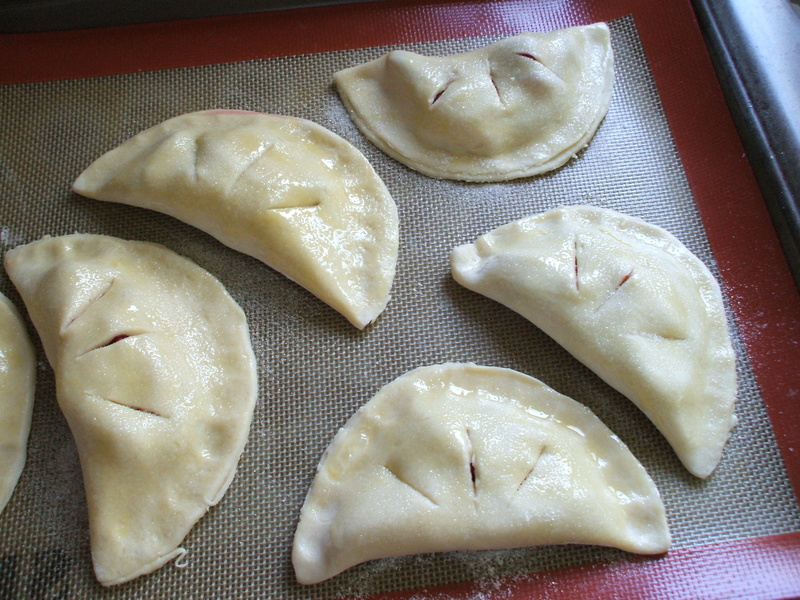 For this week’s (now already last week’s), “It’s Sunday afternoon and I’m bored so I’ll cook” adventure I tried my hand at strawberry hand pies. And I have to say, I am awesome at pie crust. Of course I’ve probably jinxed myself now but before I discovered Martha Stewart’s pate brisee recipe I didn’t think I had it in me. My previous attempts were always too dry and then without warning irreparably wet and sticky. I’m also scared of Crisco and lard, making this foolproof flour+butter+salt+sugar recipe incredibly simple despite it’s fancy French name. I urge you to try it. Note: these are before baking photos, once these babies were out of oven documentation was the last thing on my mind. They are simply delicious and would be delightful on a picnic.